Hey guys just checking in with a few quick items. 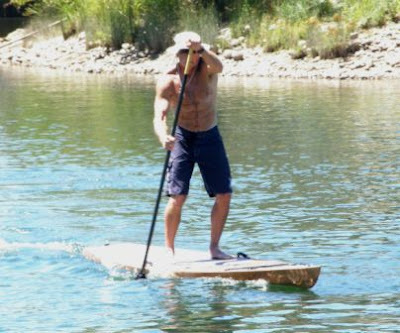 First of all check out this cool new wood stand up board kit that's being offered by the Gray Whale Trading Co. Just in case you needed something to do through the long, cold, paddle-less winter ahead! That thing looks super fun- I'm envisioning some brass rod holders off the back. If I didn't already have a 16' stitch and glue wineglass wherry (a classic rowing dory) sitting about thirty percent finished in our extra bedroom (think my wife has enjoyed that unfinished project for the last four years?) I might consider building this board. 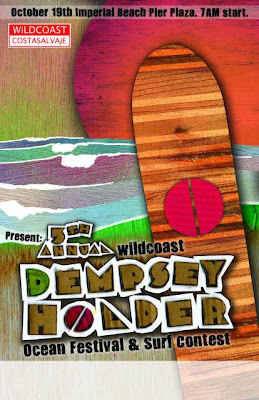 And finally, sign up for the stand up division of the Dempsey Holder Surf Contest that's being sponsored by WildCoast, October 18th and 19th. It's a great contest that benefits an excellent band of eco-warriors, surf-soldiers as I call them. Remember you've got to sign up before October 5th or we may not have a stand up division. I've already registered and paid- why don't you? thats a fine piece of workmanship now where is refreshment holder.captneg9. 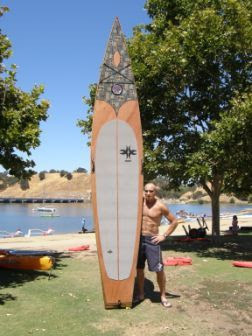 Have there been any reviews of the Kaholo Stand-Up Paddleboard compared to a Racing board or a conventional SUP board?